Joint Health Supplement supporting joint degradation. 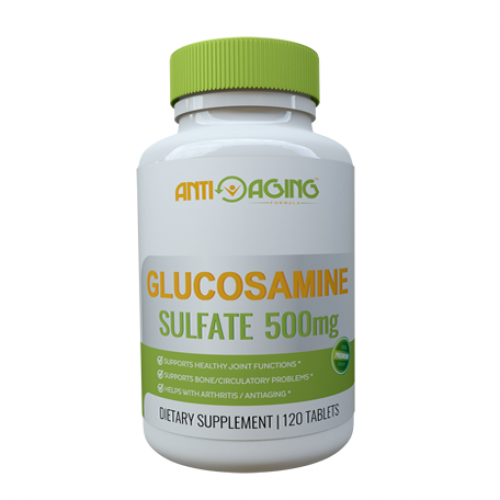 Glucosamine sulfate is a chemical compound found in the fluid around joints. It can also be taken from natural sources such as seashells, or it can be made in the laboratory. 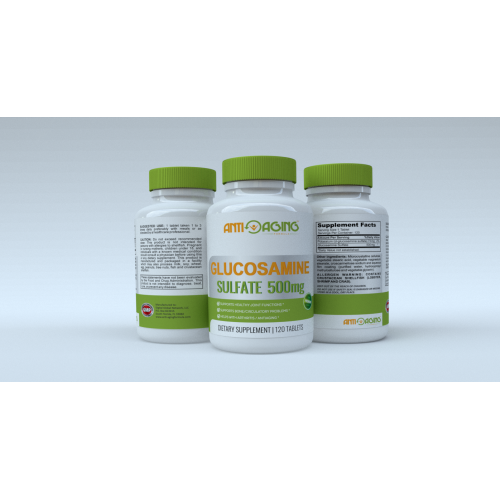 Glucosamine is primarily a joint health supplement. Glucosamine sulfate can improve pain and movement in knees affected by osteoarthritis. 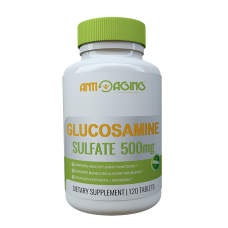 Studies show that supplementing glucosamine sulfate will reduce the rate of collagen (joint tissue) degradation and symptoms of osteoarthritis. It seems to work about as well as some nonprescription pain medications. There is some evidence that glucosamine sulfate may actually keep the joint problems from getting worse. Other pain relievers can reduce the pain but do not prevent the disease from slowly destroying more of the joint. Glucosamine is very safe to supplement and its most common side-effect is flatulence. Glucosamine supplementation cannot cure osteoarthritis, but it can slow the progression of the disease. Studies suggest that doses as high as 3,000mg of Glucosamine may be able to slow joint degradation. This effect is most relevant for athletes participating in high impact sports, like running. Though preliminary evidence suggested glucosamine supplementation could cause insulin resistance, follow up studies conclude that glucosamine supplementation does not affect glucose metabolism.